South Africa’s Aphiwe Dyantyi, Ireland’s Jordan Larmour and New Zealand’s Karl Tu’inukuafe have been shortlisted for the World Rugby Breakthrough Player of the Year 2018 in association with Tudor. The winner will be revealed at the World Rugby Awards, which take place at the Salle des Etoiles in Monte Carlo on 25 November. The winger marked his Springbok debut with a try against England in June and hasn’t looked back, starting all nine of South Africa’s tests in 2018 and scoring six tries, including braces against Argentina and in the win over world champions New Zealand in Wellington. 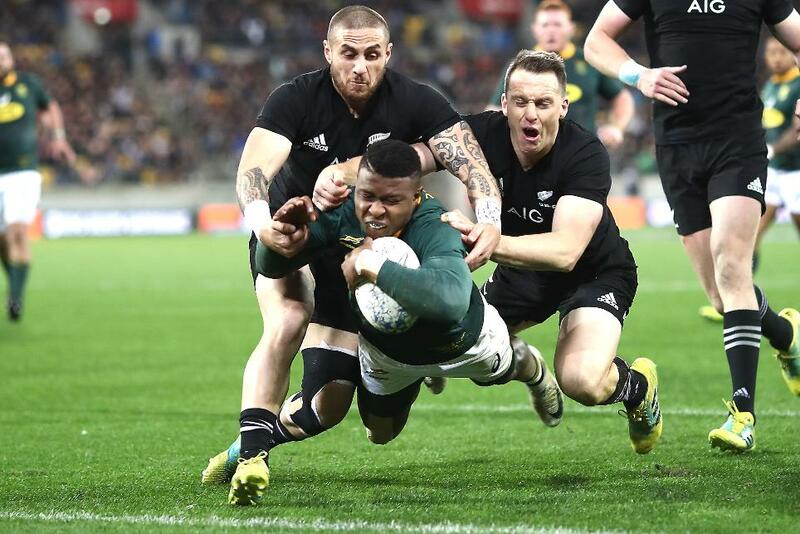 Blessed with pace and power, the 24-year-old was the joint top try-scorer in the Rugby Championship with five as South Africa finished as runners-up. Despite only making his Ireland debut against Italy in February, the 21-year-old has already played his part in a Six Nations Grand Slam winning campaign and a first series victory in Australia since 1979. The winger’s six test appearances have all come off the bench, three of them in the Six Nations and three against Australia in June, while he is yet to cross the try-line. The 25-year-old’s story is a remarkable one as in little more than six months he went from not having a Super Rugby contract to making his All Blacks debut off the bench in the first test against France in June. The loose-head prop made four further appearances off the bench before making his first start against Argentina and retaining his place for the final three matches of New Zealand’s Rugby Championship winning campaign. World Rugby Chair Bill Beaumont said: “The World Rugby Breakthrough Player of the Year award recognises the most exciting talent to burst onto the international 15s or sevens stage during the year and highlights the ‘ones to watch’. Who are the Young Player of the Year winners since 2001 – and what happened to them? This is one of 13 categories of awards, including the World Rugby Men’s and Women’s 15s Players of the Year, World Rugby Team of the Year, World Rugby Men’s and Women’s Sevens Players of the Year and Award for Character.